This paper aims to explain how and why anthropological and ethnological studies flourished under the dictatorships of Francisco Franco and António de Oliveira Salazar. 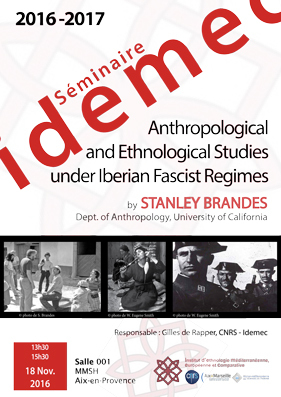 From the 1930s through the 1950s, fascist ideology in Spain and Portugal received reinforcement from the culture concept, a principal theme in the fields of social anthropology and ethnology at that time. In both the political and academic arenas, the concern for national, ethnic, and regional distinctiveness became dominant, thereby assuring a central, if implicit, role for the social sciences under fascism.